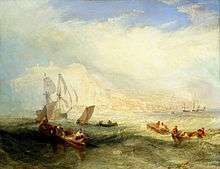 Handline fishing, or handlining, is a fishing technique where a single fishing line is held in the hands. It is not be confused with handfishing. One or more fishing lures or baited hooks are attached to the line. A hook, fishing lure, or a fishing jig and many times a weight and/or a fishing float can be attached to the line. Handlining is among the oldest forms of fishing and is commonly practiced throughout the world today. The fishing bait can be still fished, trolled or jigged up and down in a series of short movements. Often handling is done close to the bottom of the body of water but can also be done near or on the surface. Ocean handlining is often used to catch groundfish and squid but other species are sometimes caught, including pelagic fish. Sea handlining a good way to catch larger oceanic fish. 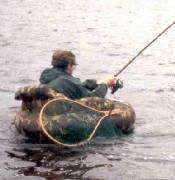 Handlining is also used for catching fresh water fish. Panfish, walleyes, and other freshwater game fish can be caught using handlining fishing techniques. Handlining can be practiced from the shore or from a fishing boat. Walleye anglers practice handlining over moderately deep water in a drifting boat. Handlining is also practiced by ice fishing anglers. A jigging motion can be used to attract fish which are normally caught while trying to strike the lure but they can also be snagged by the hooks as they investigate the jigged lure. The lure can also be fished motionless and the angler feels for the bait to be picked up by a fish and then sets the hook after waiting for the fish to fully take the bait. After a strike occurs the hook is set and then the fish is hauled in and the caught fish is removed. Handlining. Te Ara - the Encyclopedia of New Zealand, updated 21-Sep-2007. This article is issued from Wikipedia - version of the 9/28/2014. The text is available under the Creative Commons Attribution/Share Alike but additional terms may apply for the media files.